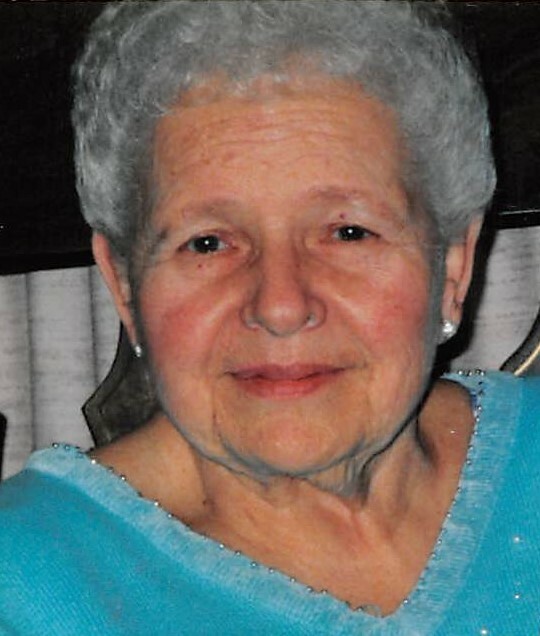 Obituary for Estelle K. (Trottier) Regin | Varnum Funeral Home, Inc.
Estelle K. (Trottier) Regin, 89, of Ware, died on Tuesday, April 9, 2019 peacefully at Quaboag Rehabilitation and Skilled Care Center. She leaves two sons, James Regin and his wife Mary Ann of Ware, and Edward Regin and his wife Shelley of Hardwick; two grandchildren, Benjamin Regin and Hannah Regin; one brother, Robert Trottier, his wife Stella of Shrewsbury and several nieces. She was predeceased by her husband, Harold J. Regin, in 2006. She was born in Ware, daughter of the late Oswald and Katherine V. (Korczyniak) Trottier and was a life-long resident of the town. Over the years, Estelle worked at the Ware Cooperative Bank, Oxford Mills and before her retirement, she was an Administrative Assistant to the Tax Collector for the Town of Ware. Estelle was very devoted to her family and her faith, and she held both very near to her heart. She was a long-time member of the Daughters of Isabella, and All Saint’s Church. The Ware Senior Center was her home away from home, and she enjoyed spending time with her many friends there playing cards. She also enjoyed participating in the activities that both the Senior Center and Quaboag on the Common offered. She was dubbed the “Queen of Bingo” because she won so often. A Funeral Mass for Estelle will be held on Monday, April 15, 2019, at 10AM in All Saint’s Church, 17 North St., in Ware. Calling hours will be held on Sunday, April 14, 2019, from 4 to 6PM in the Varnum Funeral Home, Inc., 43 East Main St., West Brookfield. Burial will be in New Saint William Cemetery following mass. In lieu of flowers, memorial donations may be made to All Saint’s Parish, or the Ware Senior Center, 1 Robbins Road, Ware. Make the check out to the Town of Ware, and put Senior Center on the memo line. Estelle’s family would like to thank the caregivers at Quaboag on the Common who made her last two years enjoyable. Make check payable to the Town of Ware with Senior Center on the memo line.